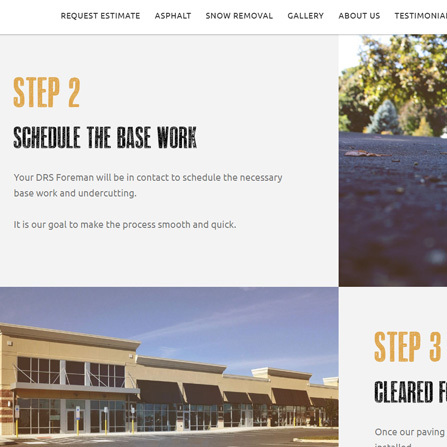 A staple in southern Wisconsin's asphalt paving industry, DRS Paving's online presence needed significant improvement. 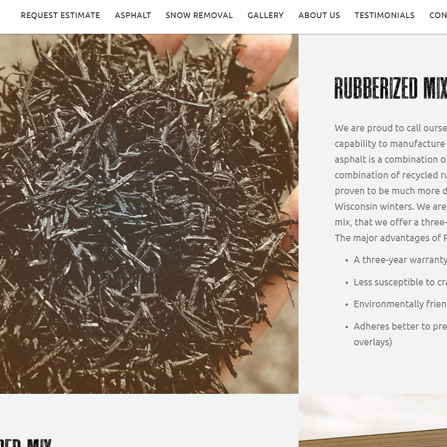 Our key goals were to design an attractive website that users would find easy to navigate, and of course, convert into leads for the company. 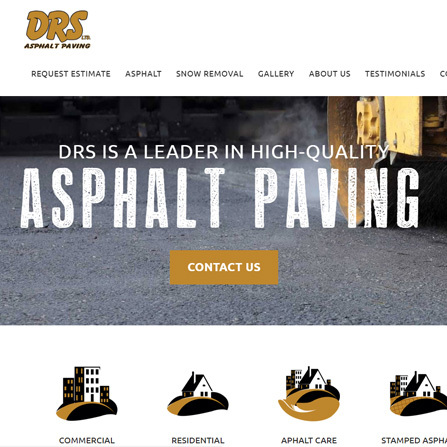 Using beautiful photography, a unique set of fonts and custom graphics, the new DRS Paving website delivers a professional appearance and is as informative as any in the industry.